French officials are providing more details about which items were saved from yesterday’s fire at Notre-Dame de Paris, although some uncertainty exists over the fate of the many relics and art works contained in the cathedral. Franck Riester, the French Minister of Culture, tweeted out a video showing workers taking several items to the Louvre, including the Crown of Thorns, the cloak of Louis IX, and a nail from the Holy Cross. French media reports the cathedral officials and volunteers made a human chain to remove the artefacts from the burning cathedral, with many of them being taken to the nearby l’Hôtel de Ville for safe-keeping. Christophe Girard, deputy mayor of Paris, tweeted a picture of candlesticks and other items that were also saved. The deputy mayor also reported that the cathedral’s organ, which dates back to the 15th century, was not damaged by the fire, but has possibly suffered water damage. 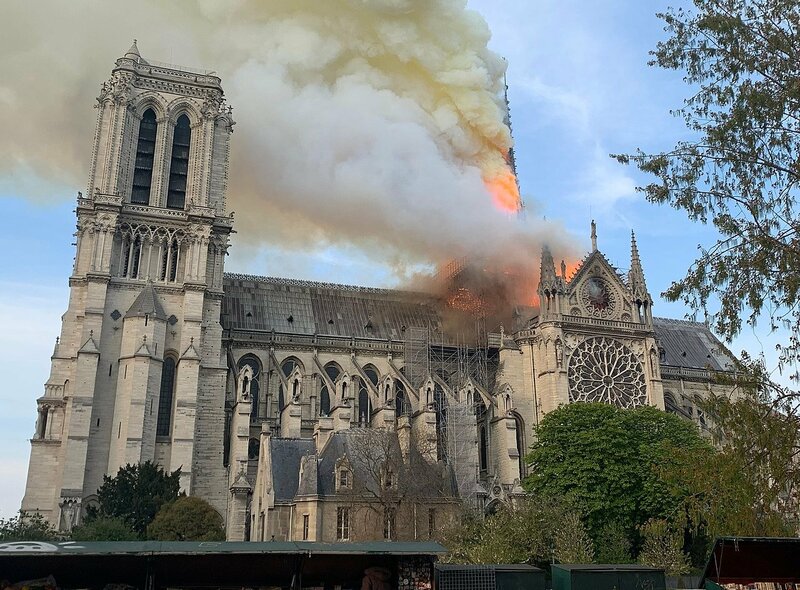 Dozens of paintings have also been saved from the flames, but according to Minister Riester they too have had water and smoke damage, and have been taken to the Louvre to be repaired. Photos from inside the cathedral show that the Rose Window has survived. “In the end, there was a miracle!” says Patrick Chauvet, Rector of Notre-Dame de Paris, in response to the efforts of firefighters to stop the blaze from causing further destruction. If you are looking to make a donation for the work to restore Notre-Dame Cathedral, please visit La Fondation du patrimoine.